Falco is a talented pilot and part of the Star Fox team. A bit rough around the edges, Falco once led his own galactic gang before joining up with Fox. He affects an air of cool disdain and is sometimes uncooperative, but in reality, his passion for Star Fox is second to none. 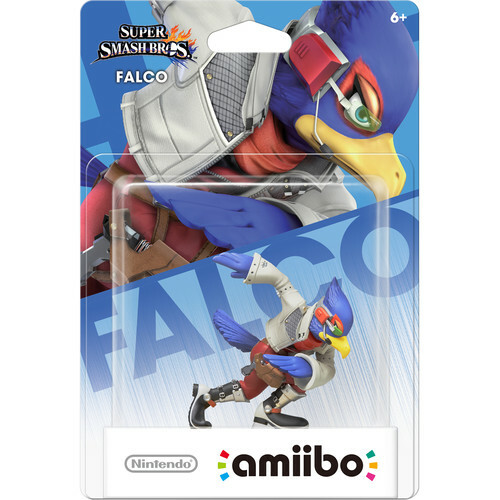 This amiibo figure requires a compatible game and a Nintendo Switch game console or a compatible game, a Wii U GamePad, and a Wii U game console (all sold separately). It may also work with certain games with the 2015 version of the Nintendo 3DS XL as well as older 2DS, 3DS, and 3DS XL versions (NFC Reader/Writer accessory required and sold separately). Please note that this amiibo figure may be compatible with future Switch, Wii U, and 3DS games.